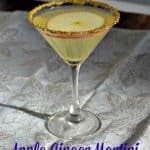 This week Sunday Supper is sharing Libation recipes! I was excited about this one because of the holidays coming up soon. I kept saying I was going to work on a few signature drink recipes but I just wasn’t getting around to it. So when I heard the theme for this week I knew it would kick me into high gear! Last night we had a big holiday party with all of our friends. It started out as a few friends coming over and turned into a big holiday party. 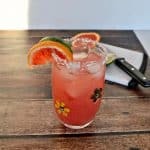 Since so many people were coming I wanted to make a few super fun cocktails perfect for the holidays. I choose two recipes that I could pour in big jugs and drink that way and one recipe that was elegant and gorgeous in a champagne flute. 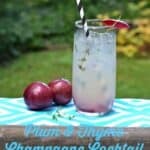 I’ll be sharing my Cranberry Ginger Margaritas later on in the week but today I’m sharing a champagne cocktail. This isn’t just any champagne cocktail…it’s a BLUE champagne cocktail! How fun is that? 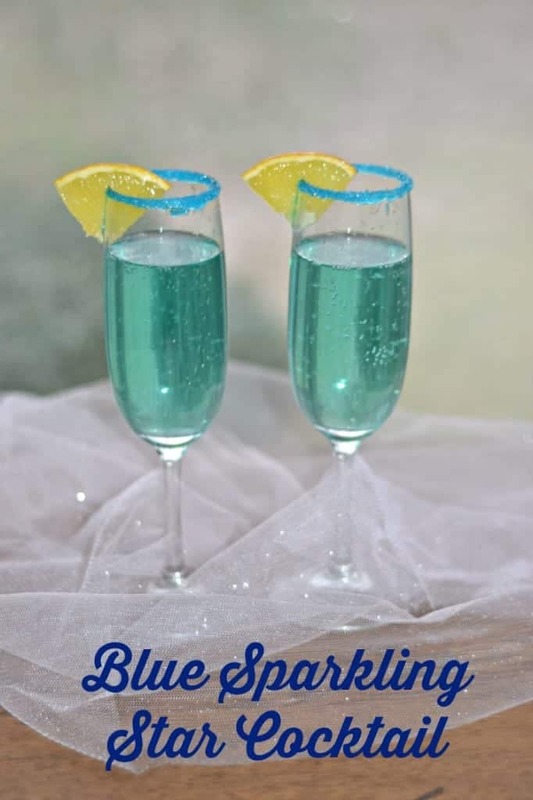 This Blue Sparkling Star Cocktail is fun, fruity, and delicious. 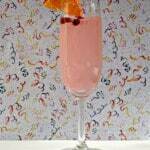 It combines orange vodka, blue curacao, and champagne. It’s a really great combination of flavors. 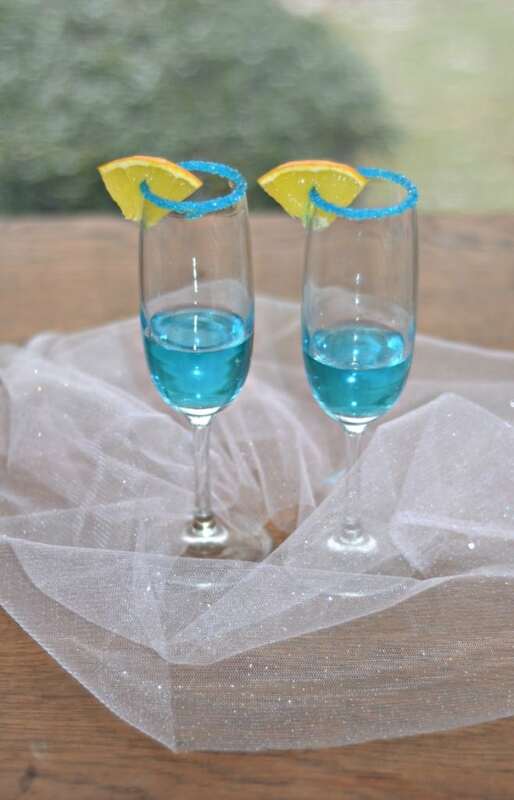 The rims of the glasses are dipped in blue sanding sugar which gives this cocktail a sparkle. I served it with orange wedges on the rims but it would be really fun to cut up a star fruit to garnish it with. 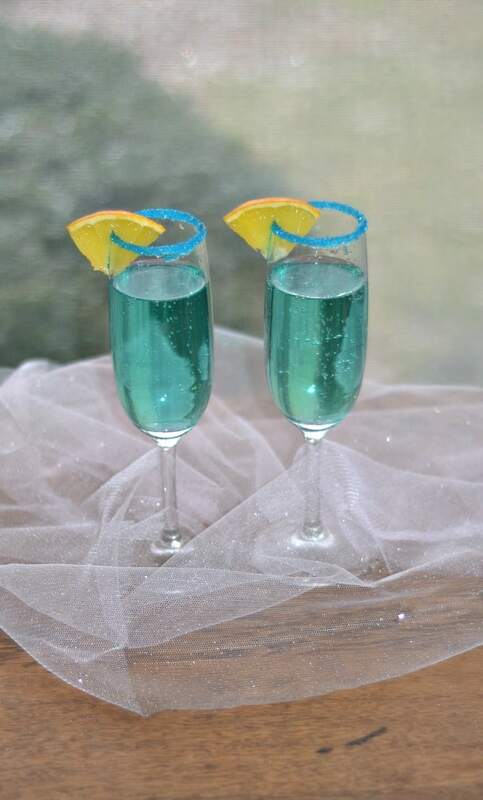 A gorgeous blue champagne cocktail made with orange vodka, blue curocoa, and champagne! Take one orange slice and run it around the rim of a champagne glass. Turn the glass over and dip into the blue sanding sugar. 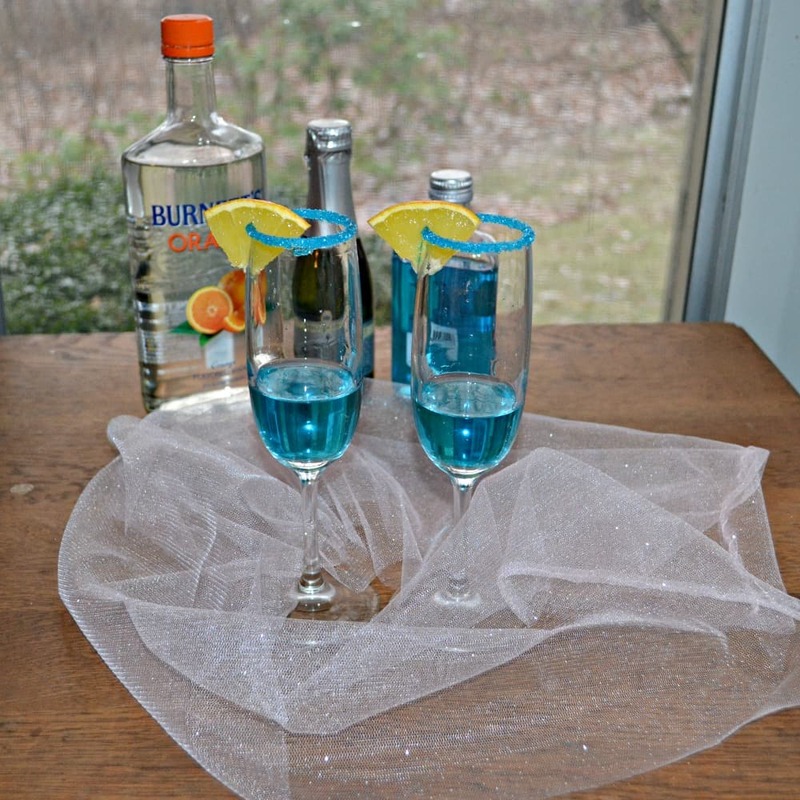 Pour the orange vodka and blue curacuo into the champagne glass. Gently swirl to combine. Fill the glass up with champagne and place an orange slice on the rim. Oh how pretty! This would be perfect for those who decorate with silver and blue for the holidays. Silver and blue is exactly how we decorate the house! I don’t know what I love more the blue sparkle, the rimmed flutes or that it has champagne in it! This is really pretty and such a nice change from the traditional holiday colors! Starfruit is always super cute and so yummy too! Oh I love the blue! This perfect drink for sipping under the stars on New Years eve 🙂 I love it! Thanks! I lvoed the blue color of them too. I love pretty blue cocktails 🙂 especially ones that sparkle! I really like that this doesn’t have added sugar. I’m not a huge fan of sweet drinks but I think this probably isn’t too sweet since there is only 1 oz of blue curaco, am I right about that? May have to try this one! Absolutely. This definitely isn’t a super sweet drink which is why I like it too. I love blue for the holidays and this is so festive and pretty! Oh, boy, these are gorgeous!!! So beautiful and festive! These are just gorgeous!! So festive! I LOVE the color of this drink! Gorgeous Heather! Love the color! What a fun cocktail! This looks *almost* too pretty to drink! Thank you for giving me another, unique recipe to use up my blue curacao that is just sitting in my pantry feeling neglected! These drinks are gorgeous! Such a pretty color! This cocktail sounds delicious!